Here’s a succulent weeknight dinner that’s deliciously easy and quick to make! 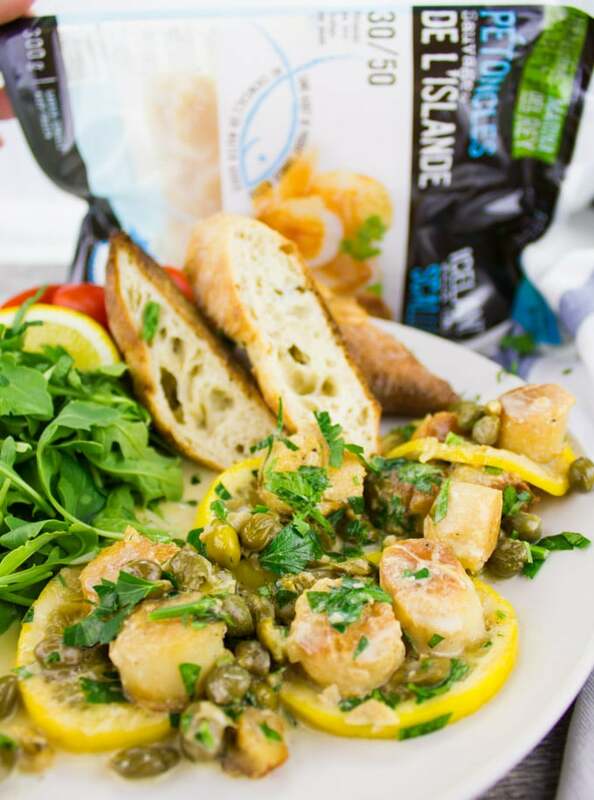 Coconut Scallops Piccata is an elegant seafood dish that’s a perfect blend of succulent tender wild caught scallops, buttery garlic caper sauce with a tang of lemon, all round up together in sweet creamy coconut cream! A no miss recipe that I’m sure you’ll be making more often than you think! So much to chat and brag about today! I have the BEST giveaway EVER. Like ever. And I have a mouthwatering delicious recipe. So let’s get going! First of all, those scallops. Melt in your mouth succulent. Sweet. Nutritious. Delicious. Just divine! 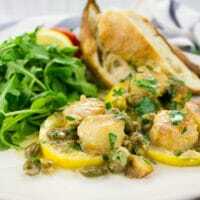 And the coconut scallops piccata recipe—a luscious scallops recipe that’s ready in 20 minutes! Serve this over pasta, rice, or with a side of salad and some crusty bread like I do here. I can’t say which is my favorite way to enjoy these, it just depends on my mood 🙂 Today I’m keeping light with a salad and some crusty Italian bread. 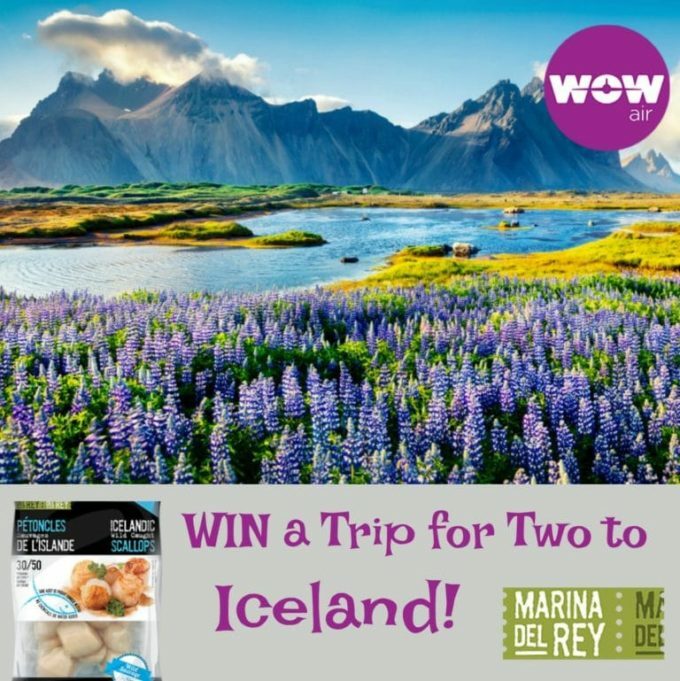 And now drum rolls please… How would you like to WIN a trip to Iceland?!! YES a trip for two to Iceland where those succulent wild scallops are caught? This trip is sponsored by WOW airlines and it’s open to all Canadian residents!! Marina del Rey scallops are wild caught in their natural habitat, in the cold Atlantic waters around the northwestern fjords of Iceland. Sweet, plump and delicious, exactly how nature intended! 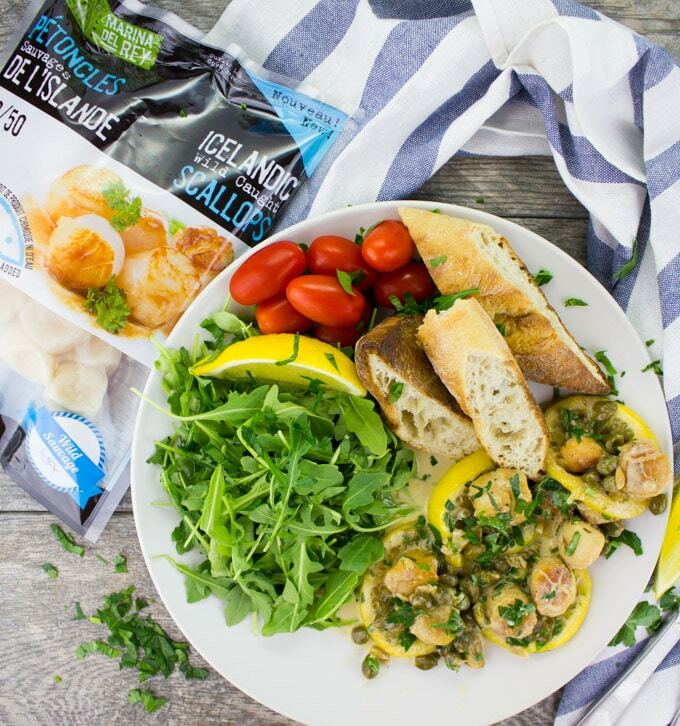 These scallops are available across Canada. Visit this page for a list of retailers. Out of all the many places I’ve been to around the world, I haven’t had the chance to visit Iceland. It’s certainly been on my to visit list and with a fabulous opportunity to see and devour those wild caught scallops!! It’s probably THE dream trip for me! You guys are SO lucky, I envy you 🙂 Details BELOW!! Now can you guys have a look at this coconut scallops recipe video below: How easy and scrumptious does it look?! 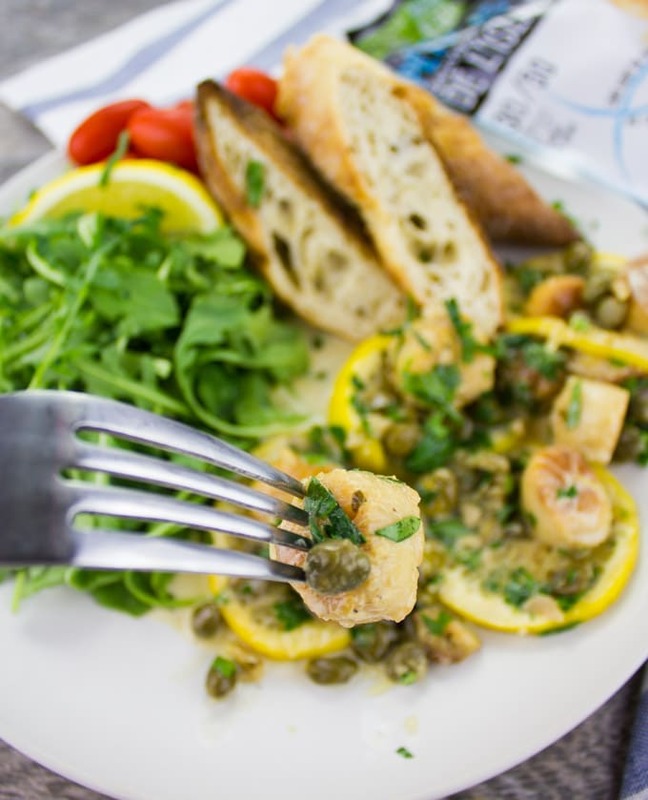 So I’ll quickly walk you through my favorite tips and steps for this coconut scallops piccata. First of all, I love searing my scallops in butter—but olive oil, coconut oil (YUM) are also fabulous choices. I love a nice golden sear on my scallops so for that reason I wait about 3 minutes before flipping them (on high heat). Then I get them out of my skillet and go in with more butter and garlic. Likewise, here’s where you can add shallots or swap one for he other. Then I go in with my capers, a little bit of stock and let the liquid evaporate. This takes probably anywhere from 3-5 minutes depending on your stove, and then you’ll go in with the lemon slices, your perfectly seared scallops and some coconut cream. I love coconut cream here because it perfectly compliments the sweetness of the scallops—but by all means feel free to use Greek yogurt, regular table cream if coconut is not your thing. For the record, you don’t get a strong taste of coconut here, just a beautifully mild sweetness 🙂 Plus you can adjust how saucy or not you like your scallops piccata. So add up for a saucy piccata (specially if you’re serving this over pasta!) and add less in tis case since I’m serving it with bread and salad. Finally, finish off with some fresh parsley and now you’re all ready to serve up this coconut scallops piccata goodness on to your plate of pasta, rice, salad and ENJOY!! 🙂 Make this fabulous one and tag me so I can follow your delicious creations! Complete List of Rules HERE. 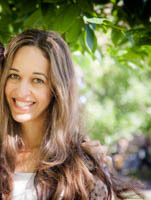 Love this easy and elegant dish, Mahy and best of all, it’s ready in no time! And I wish I was the one going to Iceland!! Thanks for a great recipe. Sharing! Thanks Robyn so much! You’re right it’s one of the go to weeknight dinners!! And I envy whoever is going to Iceland!! Using coconut cream to give this piccata richness is such a great idea Mahy! This dish looks so easy yet elegant and the flavors sound just delicious! I really love the coconut cream here Marcie! It just really adds the extra thing you’re looking for! Yaay I hope you win Sue!!! Thanks Jenn!! Hope you make it! I can almost taste these delicious scallops! Saving the recipe for later! Thanks! This looks incredible! 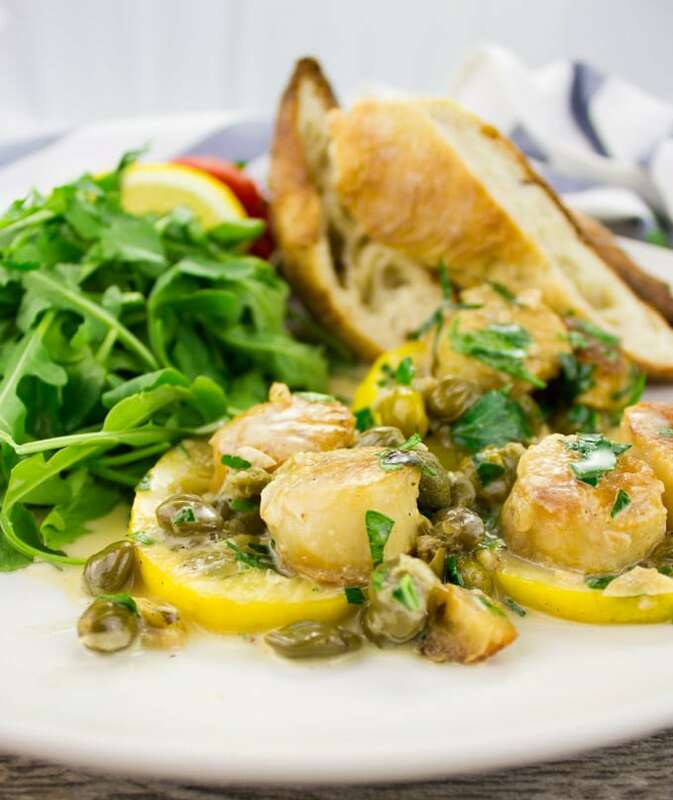 I love scallops and can’t wait to make this Piccata. You’ll LOVE this one Teri! Thanks so much Chris!! It really is! So true Tricia!! Thanks so much! Thanks Regina! We loved them! This is such a great recipe! I just bought some Marina del Rey scallops the other day and they were amazing. Going to pick up some more to try them in this recipe! Aren’t they amazing Kristen?!! I am addicted to them right now!! What a delightful recipe! I love that it has soo many flavors, and is done in 20 minutes!